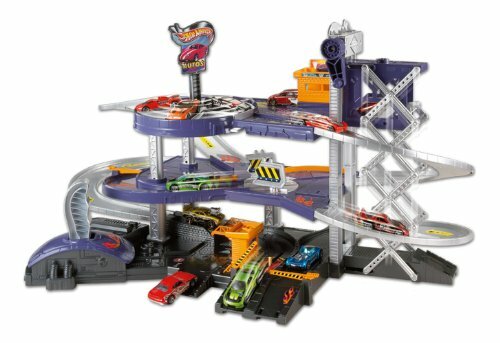 Hot Wheels Mega Garage is real working auto garage that has a working car elevator, turnstile, two car launchers and a world of fun on three levels. Bring cars in, fix 'em or store 'em and send 'em on their busy way. This play set has five ramps and three levels for lots of imaginative play.